Our news websites provide daily news updates for each industry, with dedicated sections to product releases, trend reports and extended magazine features, so that our web audience can navigate the sites with ease, selecting the information most important to them. 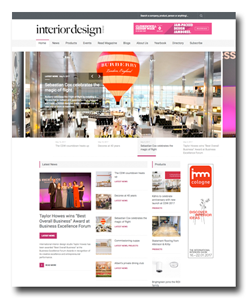 Events and exhibitions for each industry are regularly updated and the sites also play host to information for further engagement with our magazine products, including media pack information and links to digitally optimised editions of the magazines so that readers may engage, on the go, at any time. To complete Media One’s multi-platform approach, each magazine and associated website has it’s own Twitter account and in some instances, Instagram account, providing top news sources and industry highlights through the day, as reported by our editorial teams.